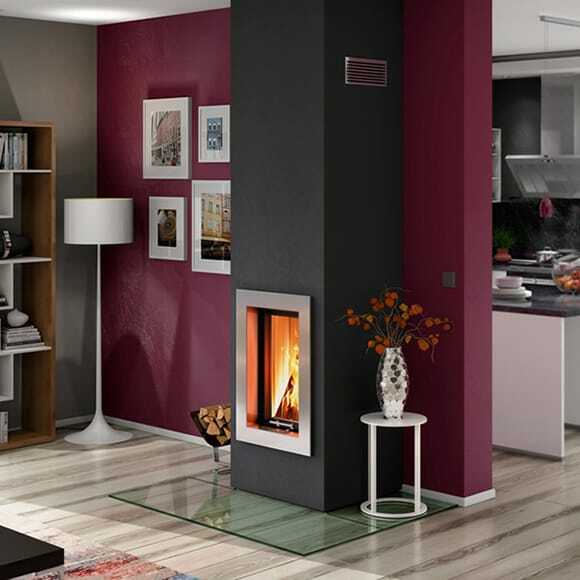 Spartherm’s mission is to create a special affinity for the stove you choose. Especially high quality products, a family-run business and a brand that stands for modern design, innovation and passion at what they do. A sleek and modern wood insert. 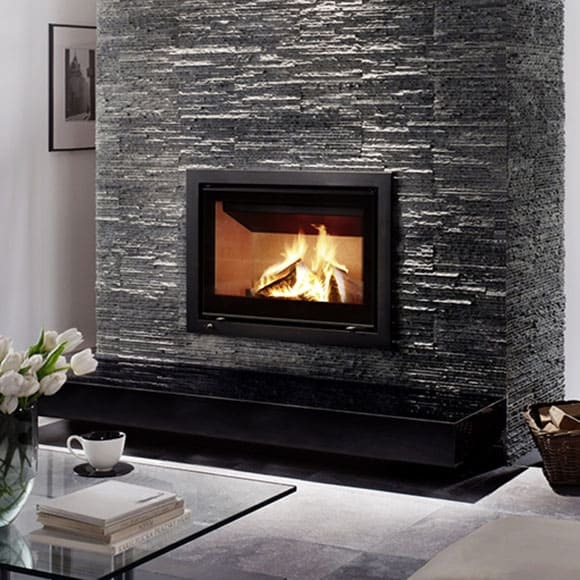 The minimal built-in depth means that this fireplace needs very little space. With a unique lift-door which gives you a maximum view of the flames. The lift-door gives optimal viewing of the fire from three sides. In a choice of widths and sizes with a convenient steel handle at the base for easy operation. 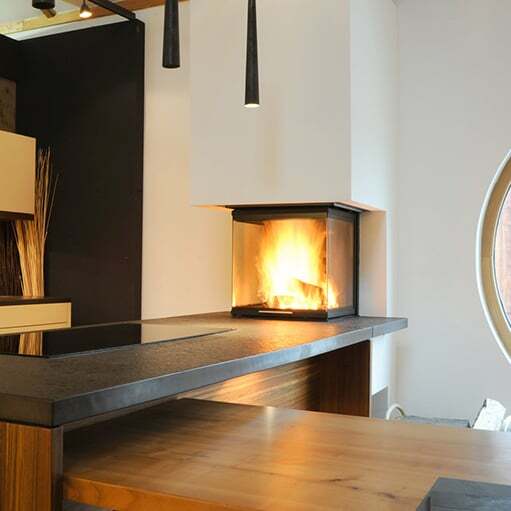 Perfect for new builds and renovation projects, this beautiful contemporary corner insert with large glass front and side glass to the right makes quite a statement when lit. This is a modern front view, single sided wood insert. It is perfect for new builds and all renovation projects with its vertically sliding glass door for loading ease. This is a modern front view, single sided wood insert. It is perfect for new builds and all renovation projects with its hinged glass door for loading ease. There is a simple to use air control making fire lighting and controlling the fire easy to do. This is a modern front view, single sided wood insert. 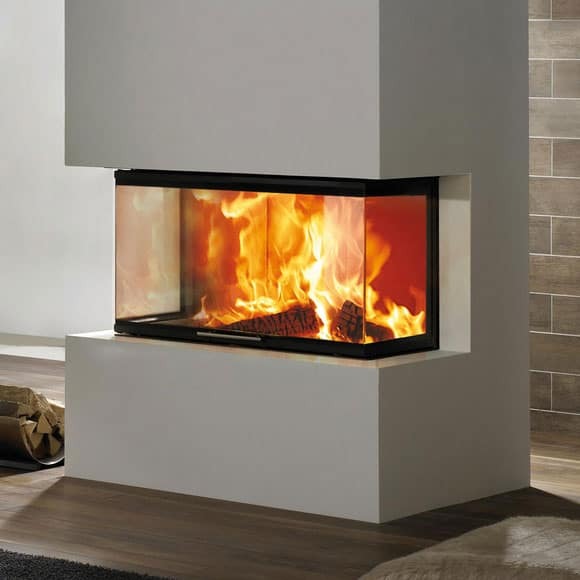 It has a elevating door that makes loading easy as well as giving it a open fire feel but in a safety and high efficiency of a insert. 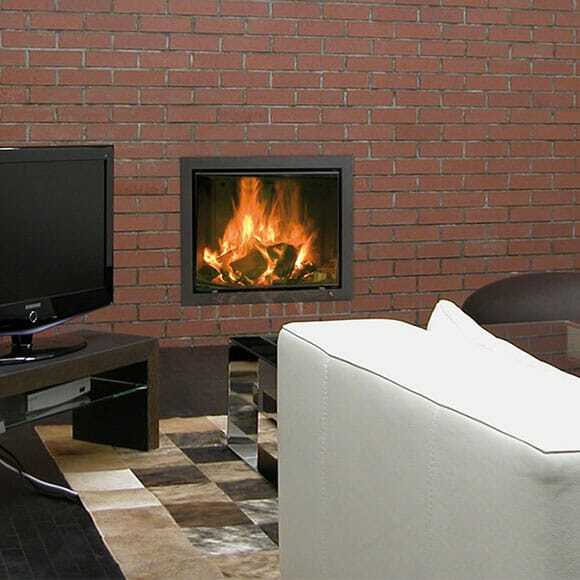 There is a simple to use lever air control, making fire lighting and controlling the fire easy to do. 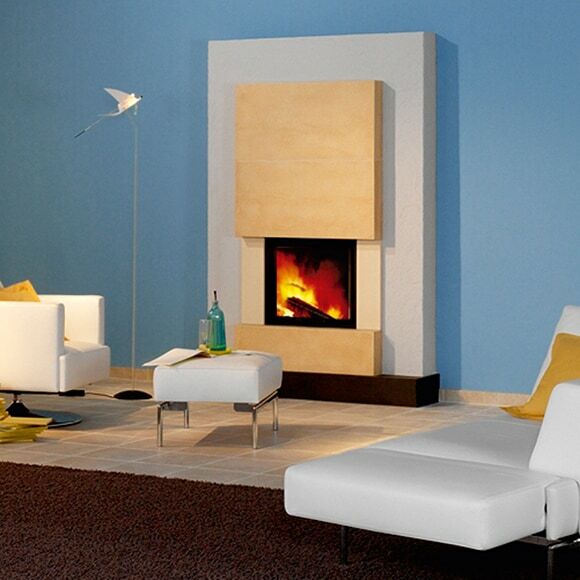 The Varia 2L-80h is a two sided modern wood insert. 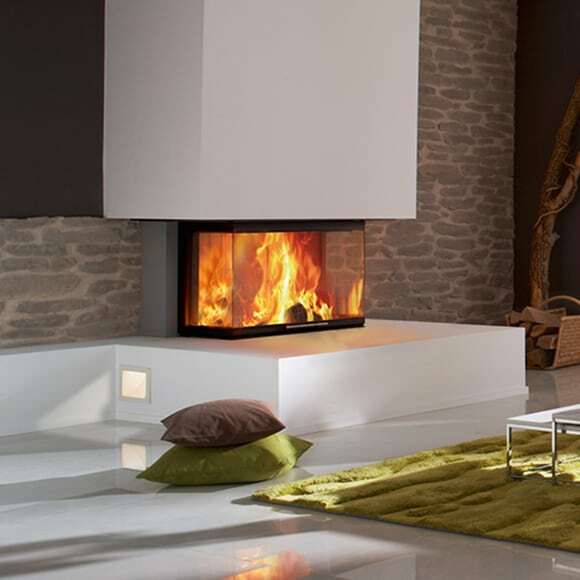 It would fit perfectly in a large open space with its large glass panels making viewing the fire a wonderful thing. It has a elevating door for the ease of loading and cleaning and it has a slider control for controlling the heat and flame output. The Mini S is a front view, single sided wood insert. It has a hinge door for easy access when loading. This insert is compact in size but has a decent output of 7kW making it the best of both worlds. 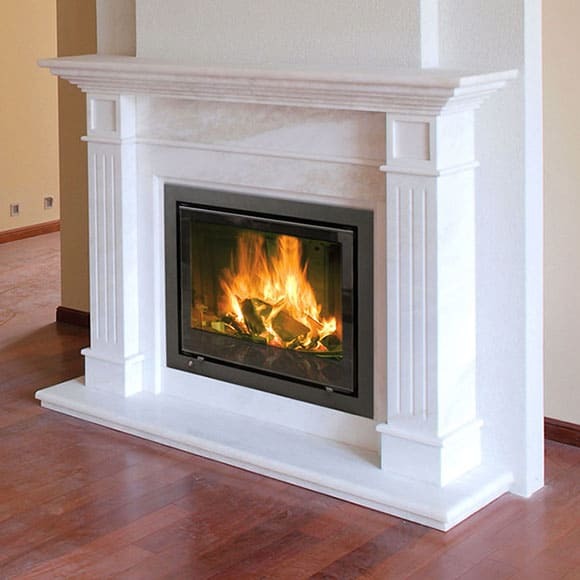 This insert has a slider air control making the heat and flame size easy to change. The Arte 1vh-66 is a front view, single sided wood insert. It has a elevating door for easy access when loading. This insert is compact in size with its vertical narrow size. 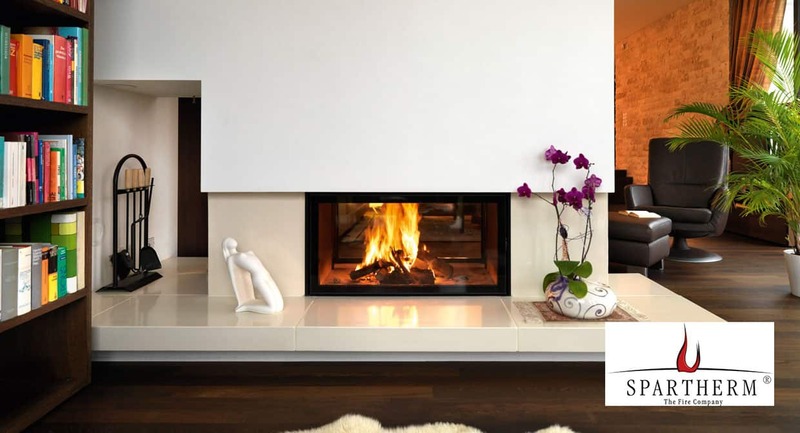 This insert has a slider air control making the heat and flame size easy to change. The Linear XS 500 is a front view, single sided and hinged door modern style insert. This Insert fits perfectly where space is limited and would suit any type of surroundings. Easy to load and control with it’s hinged door and slider control options. The Linear 600 is a front view, single sided and hinged door modern style insert. This insert has different frame options to pick from giving more freedom. It has a easy to use primary and secondary air control on a slider system. The Linear 700 is a medium sized, front view, single sided insert. This insert has a hinged door to make loading easier, plus different frame options giving more flexibility over the style. The Linear 800 is a Large , front view, single sided insert. This insert has a hinged door to make loading easier, plus different frame options giving more flexibility over the style. This insert would fit in any surrounding with its large fire box to view the rolling flames of the fire. The Linear XL 900 , a Large front view, single sided insert. 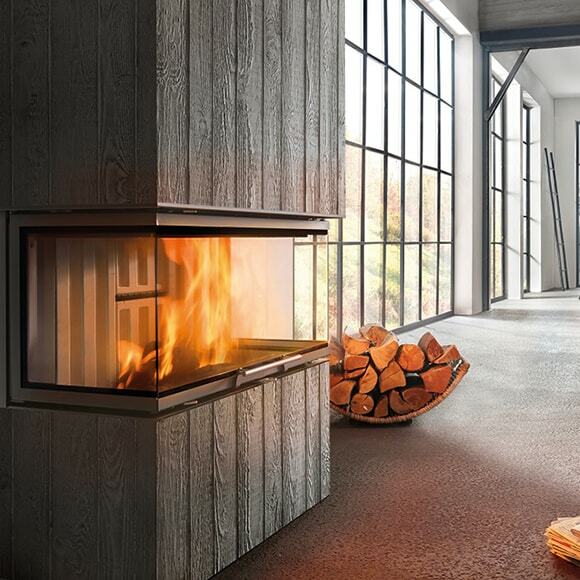 This insert has a hinged door to make loading easier, It has the Spartherm open combustion technology meaning it is a high efficient wood insert leaving less ash behind. The Varia B- FDh is a large double sided wood insert. It has a elevating door for the ease of access or loading. 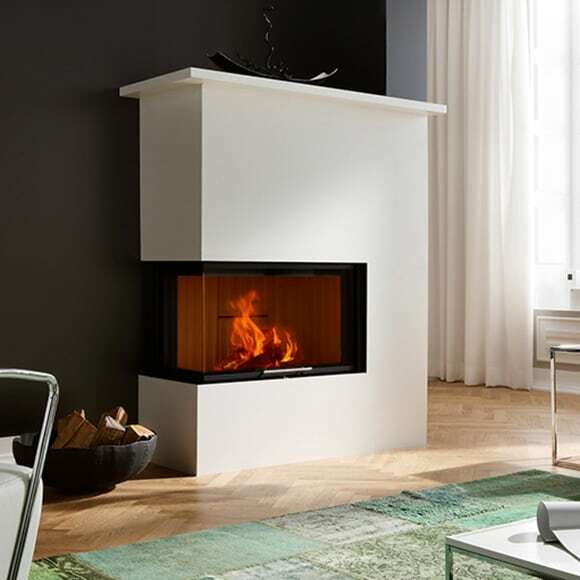 Varia B- FDh is perfect for homes with large rooms whether open planned or with false chimneys, this wood insert will be the perfect focal point with its large viewing glass to watch the flames dance away. The Varia AS-3RLh is a three sided wood insert with a elevating door for easy access and loading. 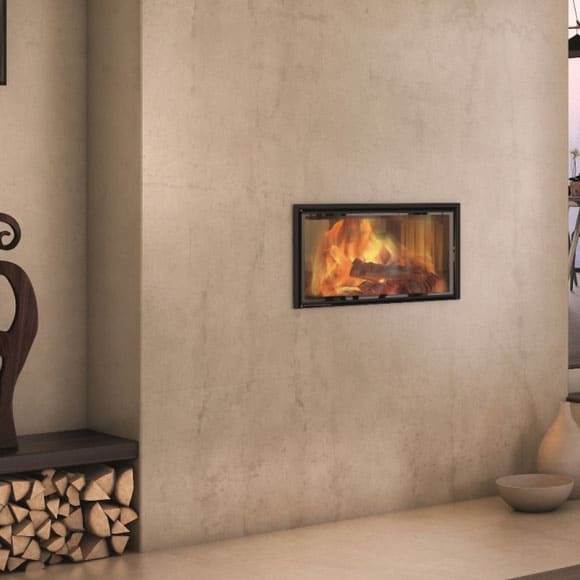 This insert would look lovely in a large modern room as the flames can be viewed from all three sides making it a lovely focal point to a room. 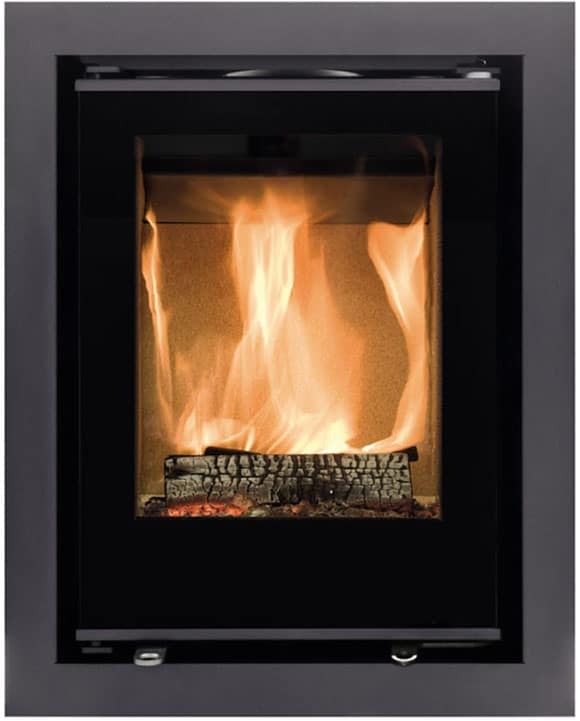 The Arte 3RL-80h is a lovely U shaped 11kW wood insert which would look lovely in any modern home. 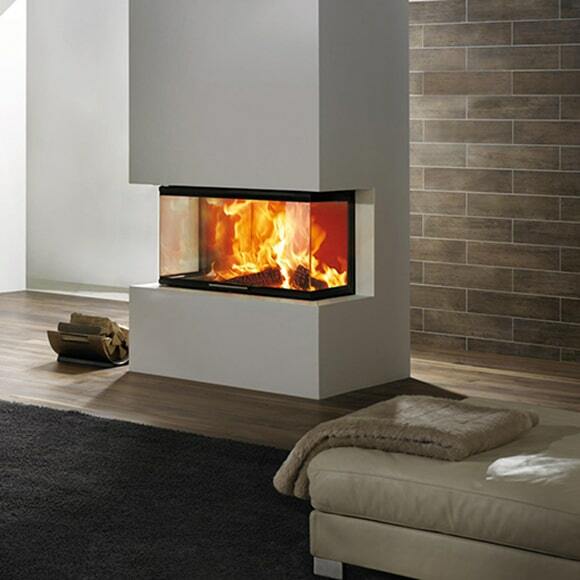 With its U shaped glass panels, it gives a huge viewing frame of the fire. 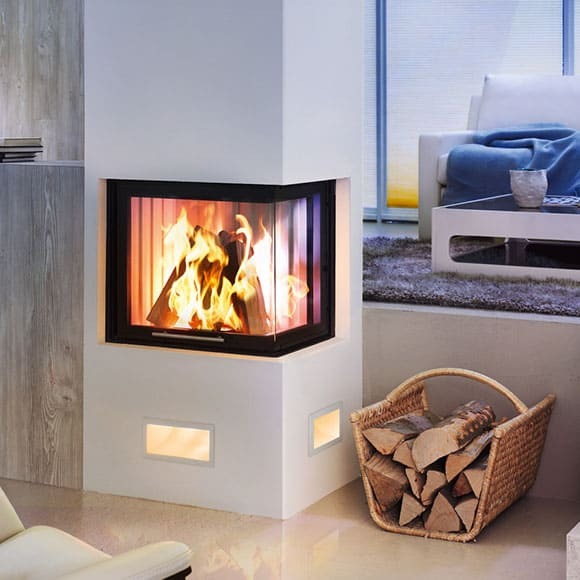 The Arte 3RL-100h is a large 11kW three sided wood insert. It would look perfect in a modern home with large open rooms. 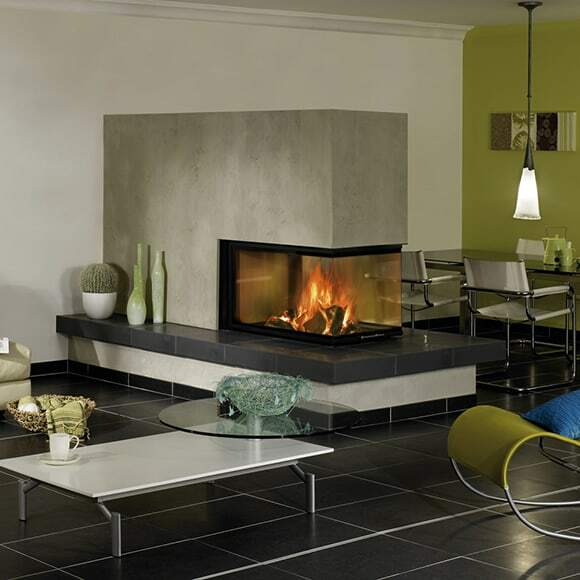 This fire has slimline frames and large glass panels which emphasise the fire. The Arte U -50h is a compact square wood insert. 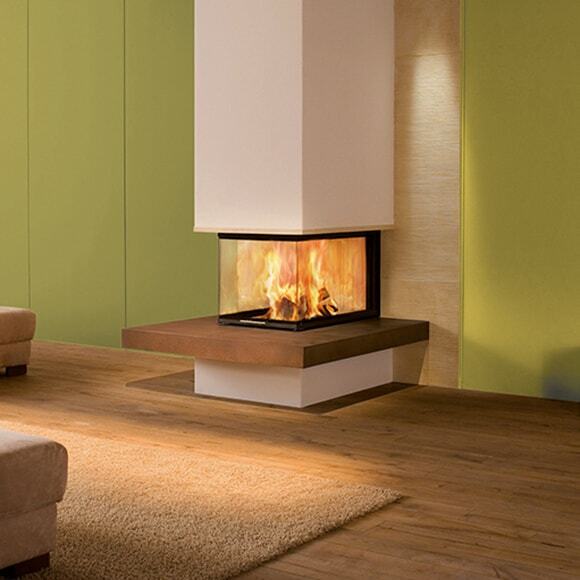 It is also three sided giving the best possible view of the fire, this insert would suit any modern surrounding. It comes with a elevating door for easy clean and loading. Plus it is a nominal output of 9kW making it a lovely amount of heat for a room while not making it too overbearing. 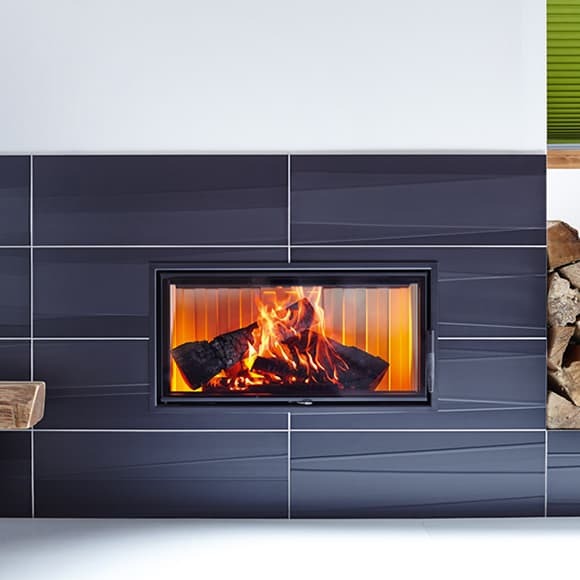 The Arte U -70h is a deep, modern wood insert. 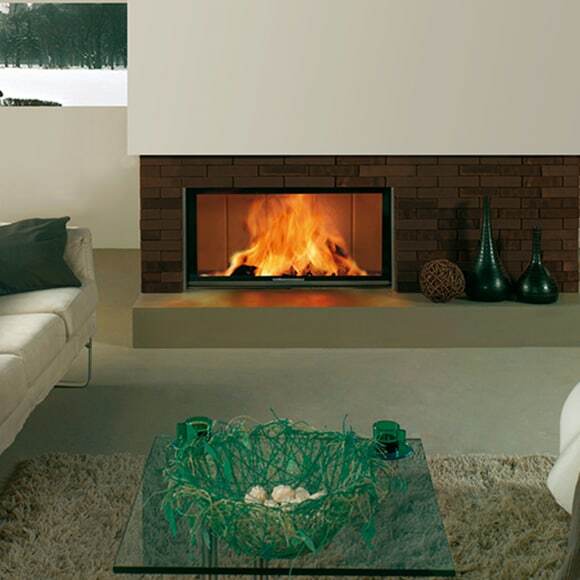 It is also three sided giving the best possible view of the fire, this insert would suit any modern surrounding. This insert would fit perfectly in large spaces and will become a splendid focal point of the room. It comes with a elevating door for easy clean and loading. The Arte U -90h is a deep, modern wood insert. 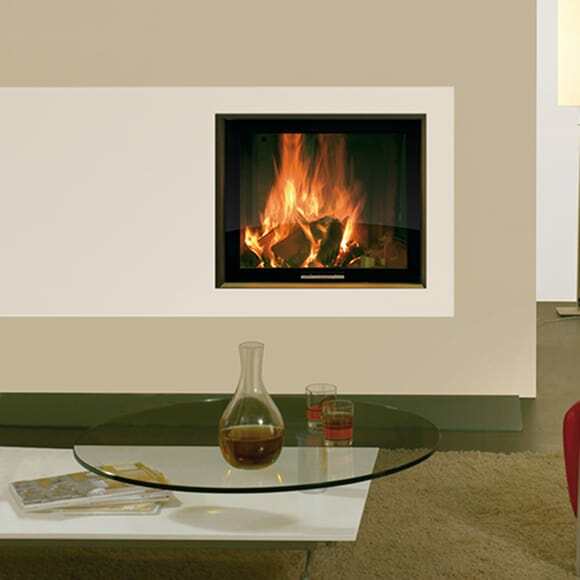 It is also three sided giving the best possible view of the fire, this insert would suit any modern surrounding. It comes with a elevating door for easy clean and loading. 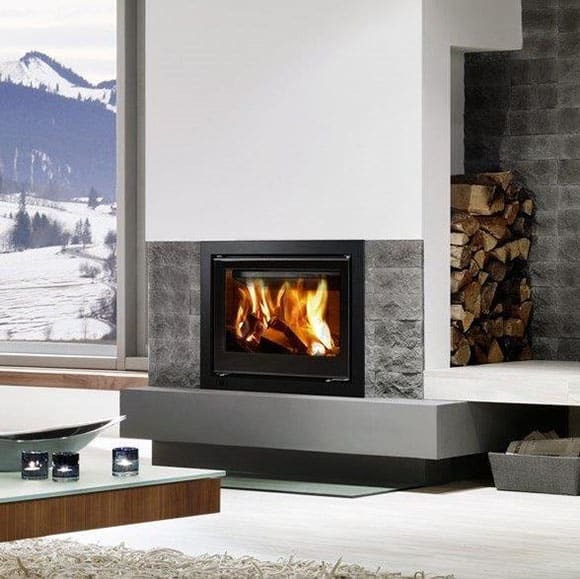 Arte U-90h has a large kW output of 13kW meaning it would suit any large spacious rooms and would give it character and elegance.